Chevy Camaro ZL1 coming with 570+ horsepower? 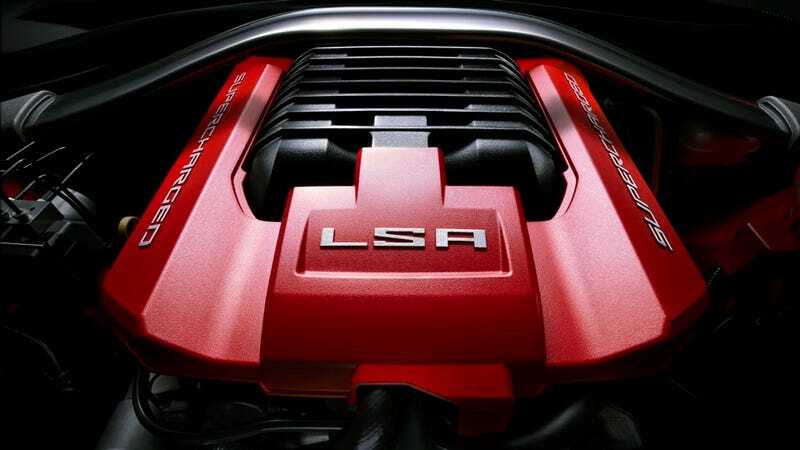 We all know the muscular Chevy Camaro ZL1's getting the same LSA V8 found in the CTS-V, but while that engine puts out 556 horsepower in the Caddy there are fresh rumors stating the ZL1 will be north of 570 horsepower. This new top-of-the-line Camaro is expected to slot in between the 426 horsepower SS and the 638 horsepower Corvette ZR1, giving the ZL1 a lot of daylight. Putting itself at above 570 horsepower, as LSXTV is reporting, means GM will suddenly have an impressive variety of vehicles in the 550+ horsepower range and something to tussle with the Ford Mustang GT500.